I graduated from SKMA (Forestry Vocational School) in West Java in 2001Then in 2002, I joined the service within the Ministry of Forestry Republic of Indonesia and began my career as a Forest Ecosystem Specialist. My experience spans wildlife conservation, protection, protected area management, outreach and conservation education campaigns. I have the privilege to be one of WildCRU’s 2010 Panthers and after completing the diploma course I was re-posted to my previous position within the Kerinci Seblat National Park Authority. I ran the Kerinci Seblat Tiger Monitoring Programme which is the first Indonesian park-owned tiger monitoring project in the country. From July 2012 to June 2014 I was seconded to the Zoological Society of London (ZSL) Indonesia Programme as ZSL’s Tiger Conservation Project Manager for which I was working in two national parks, Berbak NP in Jambi Province and Sembilang NP in South Sumatra. My main tasks were managing tiger conservation works including forest patrol and protection, tiger population monitoring and research, human-tiger conflict mitigation as well as conducting a novel approach to tiger conservation and awareness using comics (art) as a tool to introducing broader aspect of tiger and biodiversity conservation to elementary students within focal areas. I am serving as the Secretary of the Sumatran Tiger Conservation Forum (Forum HarimauKita) but I am interestedin all felids, particularly clouded leopard and smaller cats. My Master’s research will focus on Sumatran clouded leopard and Asiatic golden cat interactions, their spatial distribution and their landscape ecology in West-central Sumatra. 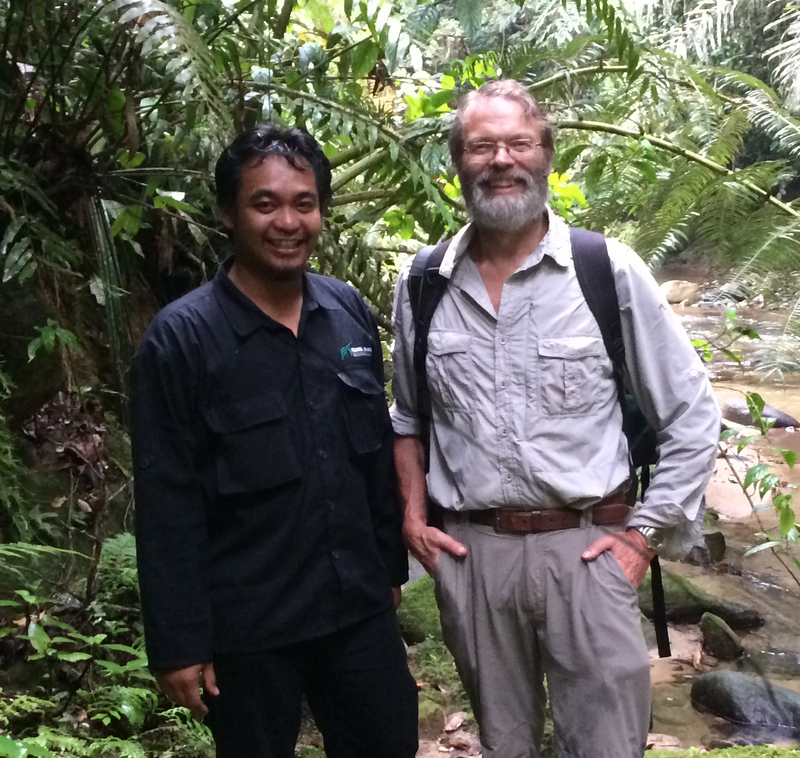 Ultimately I aimto use my skills and knowledge for the benefit of my conservation colleagues and to contribute to wildlife conservation and management in Indonesia.